Part 1 of this two part (or maybe three part) series tracked the purposeful stealth of the Koch Brothers since the 1970s when they began their push to change the country's politics and economic policy, until their cover was blown a few years ago, and the brothers decided, if you can't fight it, flaunt it. They adopted a more public persona, even going so far as to let reporters into the inner sanctum of their donor summit a few days ago, where Governor Ducey spoke about how much he loves his expansion of the Empowerment Scholarship Account program, and how that expansion is threatened by Proposition 305 which is scheduled to go before the voters in November. He loves his vouchers almost as much as he loves tax cuts, and almost as much as our "education governor" loves fighting against significant increases to K-12 funding. The fact that the Kochs and their donor networkers love those things as much as Ducey loves them makes the governor' reelection campaign coffers very, very happy. I was browsing through education news last week and came across an op ed in the Houston Chronicle praising Education Savings Accounts, which is the generic name for what our legislators have redubbed Empowerment Scholarship Accounts. As I looked to see who wrote it, I experienced a simultaneous sensation of familiarity and surprise. The author is Matthew Ladner, who I know well from long arguments we carried on in the comments section of my posts when I wrote on Blog for Arizona and Ladner was a vice president of research at the Goldwater Institute. The surprise came when I read the bottom of the op ed and found out he's now "the senior research fellow at the Charles Koch Institute." I knew Ladner had left GI, but last I heard, he was working on policy and research at Jeb Bush's Foundation for Excellence in Education. Since I don't see him mentioned on the current FEE website, I guess Ladner isn't wearing hats in both places. It looks like he's left Jeb for Charles Koch. The employment and adventures of Matthew Ladner create a series of connected dots where the last dot connects back to the first. Taken together, they offer a revealing snapshot of the very formidable, very influential, very affluent "education reform"/privatization movement. The Goldwater Institute has plenty of wealthy donors, which means it has lots of money to play with, enough to pay people like Matthew Ladner comfortable six figure salaries. The well-paid employees' jobs are to figure out ways to publicize and further GI's conservative/libertarian agenda. Ladner is a hard working guy who is good as his job, but somehow he always found time to indulge in spirited, intellectual arguments. So when I started writing critical posts on Blog for Arizona about what he was doing at GI (I headed the posts "Fools Gold." Get it? Foolish statements from the Goldwater Institute? ), Ladner responded at length in the comments section. I answered his comments, also at length. He answered back, other commenters joined in, and pretty soon we had comment strings running for tens of thousands of words. I found Ladner to be an intelligent, witty, formidable opponent. As I read his arguments, I kept returning to a line that cropped up regularly at the end of 1940s gangster movies. As the criminal mastermind was hauled off to jail, one detective would look at a fellow detective and say, "If only he used his gifts for good instead of evil." That's what I thought about Ladner. It would be great to have him fighting the good fight on our side. Ladner likes charter schools, and he loves vouchers. What he hates is the restriction in the state constitution against spending state money on religious education. He often expressed his fondness for Arizona's private school tax credits which give money to School Tuition Organizations, and they give it out as private school scholarships (keeping a generous ten percent to cover "expenses"), but he thought there must be another way to make vouchers legal. ESAs are Ladner's baby, with help from others on the GI payroll. They're an ingenious work-around where the state gives money to parents who can spend it on private school tuition, including for religious schools. The vouchers violate the spirit of the constitutional prohibition against religious school vouchers while staying just within the letter of the law. When Governor Brewer signed ESAs into law in 2011, Arizona became the first state to adopt the voucher program. Since then, they've spread to a number of other states with conservative governors and legislatures. Ladner was a busy boy while he was at GI. He was a high ranking member of the educational task force for ALEC (American Legislative Exchange Council), the organization that creates model legislation for Republicans to take back to their states and turn into law. He was the author of ALEC's annual Report Card on American Education for a number of years. Ladner's report cards graded states on the quality of their education, using their openness to charter schools and vouchers as two of the most important criteria. That meant Ladner ranked Arizona among the top states in the nation, while Massachusetts, whose international test scores are competitive with the top scoring countries in Europe and Asia, ranked far lower. One of the few states Ladner put above Arizona on the ALEC report card ranking was Florida. And no wonder. For years, Ladner had sung the praises of Florida's education system and its governor, Jeb Bush. He wrote a long, overly enthusiastic paper about the Florida Education Miracle—though the state's educational achievements weren't especially miraculous—complete with numerous charts and graphs, and an introduction by Governor Bush. So when Jeb started his own well-funded "education reform"/privatization organization, Foundation for Excellence in Education, he took Ladner aboard to help move the privatization agenda forward. Now Ladner is at the Charles Koch Institute. After working for a few organizations funded by super-rich supporters of "education reform," he finds himself at the source, working for the multi-billionaire who, along with his brother David, is one of the premier funders of conservative and libertarian causes in the country. The Koch brothers were late to the "education reform" game. For years, they spent money to create college centers, think tanks and high school curricula to further their libertarian agenda, but they didn't think they could have much impact on the education privatization movement, even though its goals of dismantling "government schools" and turning education over to the private sector are right in their philosophical wheelhouse. Now the brothers are all in. And who better than Ladner, a talented guy with years of experience in the field, to help guide them along? Which brings us to the present. Matthew Ladner, working for Charles Koch, published an op ed last week in the Houston Chronicle about how great ESAs, which he helped create, would be for Texas. A few days later, Governor Doug Ducey spoke at the Koch donor summit, praising himself and the donor network for expanding our ESA program to include all of Arizona's children. When Ducey finished, a few other speakers seconded his ideas and expressed anti-public school sentiments, making sure to trash teachers unions. Then the multi-millionaires and billionaires gathered in the room were handed pieces of paper so they could pledge to contribute money to further the Koch brothers' education privatization efforts. A significant portion of the donor's largesse is sure to land in Ducey's campaign and in the fight against Arizona's anti-voucher proposition. 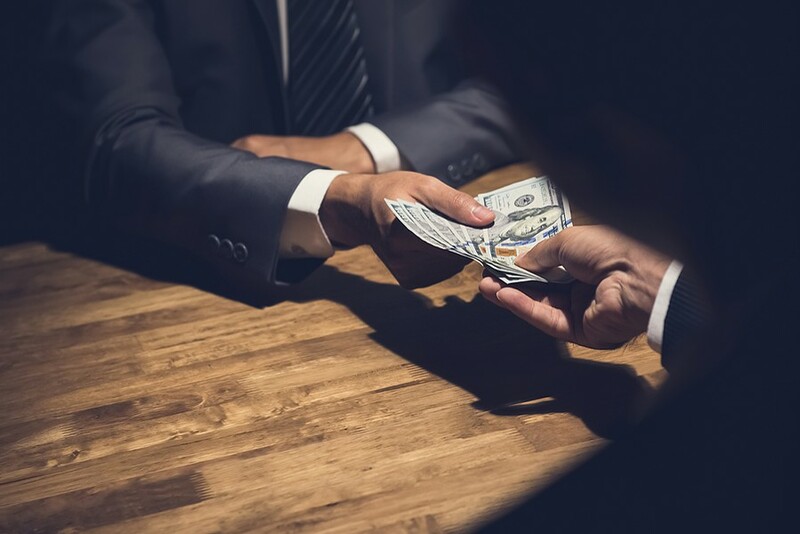 Some of the money will be in the form of straightforward donations, but most of it will be dark money, where donors' identities hide in the shadows. And so we come full circle, starting in Arizona with the Goldwater Institute, making stops at ALEC, the Foundation for Excellence in Education and the Charles Koch Institute, and returning to Arizona. When it comes to education privatization and the dismantling of the public school system, what happens in Arizona definitely doesn't stay in Arizona. It makes its way around the country, then finds its way back home again. The organizations Matthew Ladner has been a part of only scratch the surface of the organizational and financial might of the education privatization movement. There's the Walton Foundation, backed by the Walmart fortune. There's the DeVos Foundation, backed by the Amway fortune. There's the . . . but why go on? You get the idea, right?